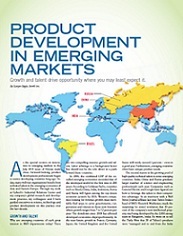 Amritt Global R&D expert Gunjan Bagla has created a book and DVD containing everything you need to know for your business to thrive in India. The third largest maker of commercial aircraft, Bombardier Aerospace based in Montreal, Canada, has officially opened its engineering service center in Bangalore with about 20 people. It is expected to grow to 50 aerospace engineers by the end of 2013. The engineers here will focus on structure design, advanced stress analysis and project management services, according to Jean Seguin, vice-president of quality, engineering and manufacturing. The company sells Learjet, Challenger and Global business jets, CRJ700 regional jets and Q400 NextGen turboprops into the Asian markets and specifically into India. Smith said that his company employs over 500 in Gurgaon, India and is looking to expand its center of excellence of software engineering and its global competency center. “With more and more network architecture being software based, we see India as a key growth market for Ciena and we will continue to expand our India competency center. 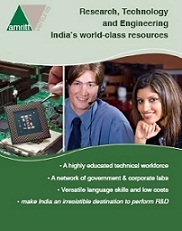 The India center is also our largest R&D center outside of North America,” according to Smith. “We are pleased to announce the global expansion of our company. 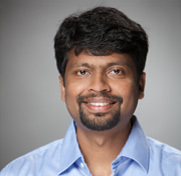 Our presence in India will provide a great impetus to our research and development efforts,” said Ashutosh Garg, CTO and co-founder of BloomReach. PepsiCo announced plans in 2010 to invest $2.5 billion in its China business over the next few years. PepsiCo also plans to open its largest research and development center in Asia and a pilot plant in Shanghai later this year. It will employ over 100 scientists and will work toward developing new food and beverage products for both China and the rest of Asia, said Tim Minges, chairman of PepsiCo Investment (China) Ltd and of Pepsi’s Greater China efforts. Innovation will help it bring such goods to market faster, he said. "Today, if we have a sample, we have to send it to Chicago," he said. "And they send the sample and we test it. In the future, we can make and test the food downstairs." Both China and India rank among the top five countries for PepsiCo globally in their potential for growth, according to Indra Nooyi, the India-born CEO of the New York based beverage and snack food giant, speaking to China Daily at the Boao Forum for Asia Annual Conference 2012. Wal-Mart Stores, Inc. announced that its @WalmartLabs operation is expanding in Bangalore with the hiring of 100 additional developers and a move into a new facility. 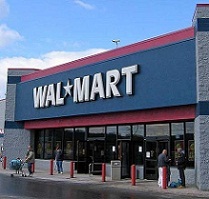 Wal-Mart plans to create a next-generation e-commerce platform designed to connect Walmart’s digital and physical properties worldwide giving customers and suppliers a seamless way to interact and shop across any device or store anywhere in the world. "In the past few months, @WalmartLabs India has attracted best-of-class talent into the group", Jeremy King, Senior Vice-President and Chief Technology Officer of Wal-Mart Global e-Commerce, told a press conference. California-based @WalmartLabs, a unit of Walmart Global e-Commerce, is the company’s hub for creating platforms and products around social and mobile commerce. They design software to help customers discover research and shop for products through mobile devices, online or at physical stores. Over the last five months, @WalmartLabs, has been building its India operations with a focus on social and digital technology. The company is looking to recruit engineering talent in the areas of high scale computing, network infrastructure, systems administration and big data.